Denosumab Discontinuation for Osteoporosis: What Are the Risks? Bisphosphonates are known to inhibit bone resorption through high-affinity binding to hydroxyapatite. Discontinuing denosumab therapy in osteoporosis may increase the risk of vertebral fractures, according to a systematic literature review recently published in Bone.1 In addition, measures and treatments aimed at curbing treatment-associated bone loss have not been documented. These results should be taken into account when considering osteoporosis treatment interruption in patients at high risk of fracture. Bisphosphonates are known to inhibit bone resorption through high-affinity binding to hydroxyapatite, a main component of bone, thus delaying the growth and dissolution of hydroxyapatite crystals.2 This property of bisphosphonates confers long-term (up to several years) preservation of bone mineral density and makes this compound the treatment of choice in osteoporosis.3 A downside of the high-affinity binding of bisphosphonates to hydroxyapatite is that treatment breaks are warranted and their long-term use is cautioned against, as this might result in a “brittle bone” phenomenon. A fully human monoclonal antibody against RANKL — the human receptor activator of Nuclear Factor-κB — denosumab was found to inhibit the formation and survival of osteoclasts, reduce bone resorption, and increase bone mass.4 Results from a randomized double-blind placebo-controlled phase 3 clinical trial, FREEDOM (Fracture REduction Evaluation of Denosumab in Osteoporosis Every 6 Months; ClinicalTrials.gov identifier: NCT00089791) indicated that denosumab is effective in reducing the occurrence of (non-) vertebral and hip fractures in post-menopausal women with osteoporosis.5 In addition, the FREEDOM Extension Trial (ClinicalTrials.gov identifier: NCT00523341) showed adequate and consistent long-term safety and efficacy of denosumab for up to 10 years. The current study sought to examine whether denosumab treatment discontinuation had a clinical impact, and to determine treatment options to prevent bone loss following discontinuation through a systematic review of electronic databases. A total of 24 sources (18 PubMed abstracts, 1 Clinicaltrials.gov, 5 scientific meeting abstracts) were selected. Within 12 months of denosumab discontinuation, bone mineral density was found to return to baseline levels in the lumbar spine, total hip, and third radius in phase 2 and 3 clinical trials. 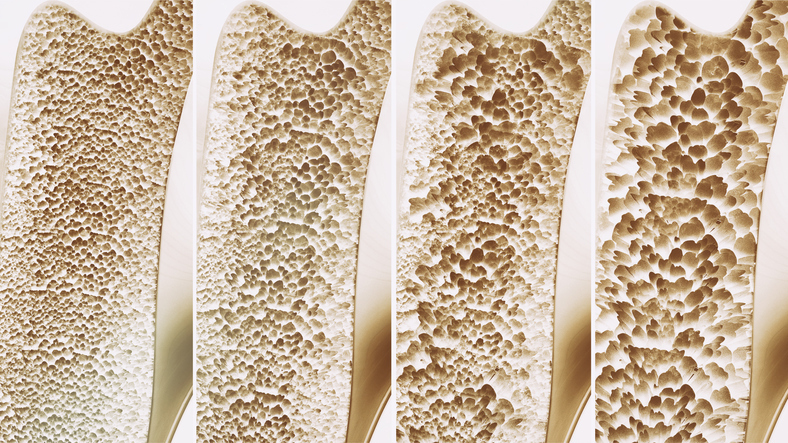 In addition, following treatment discontinuation, concentrations of bone turnover markers rapidly increased to levels higher than baseline, eventually returning to baseline after 48 months. Tsourdi E, Langdahl B, Cohen-solal M, et al. Discontinuation of denosumab therapy for osteoporosis: a systematic review and position statement by ECTS. Bone. 2017;105:11-17. Russell RG. Bisphosphonates: the first 40 years. Bone. 2011;49(1):2-19. Then C, von Tresckow E, Bartl R, Oduncu FS. Bisphosphonate and denosumab therapy: fields of application. In: Otto S (ed). Medication-Related Osteonecrosis of the Jaws. Heidelberg, Germany: Springer Verlag GmbH; 2015. Kim SY, Ok HG, Birkenmaier C, Kim KH. Can denosumab be a substitute, competitor, or complement to bisphosphonates? Korean J Pain. 2017;30(2):86-92. Cummings SR, San Martin J, McClung MR, et al. Denosumab for prevention of fractures in postmenopausal women with osteoporosis. N Engl J Med. 2009;361(8):756-765. Close more info about Denosumab Discontinuation for Osteoporosis: What Are the Risks?